Fits Rivet Spinner. 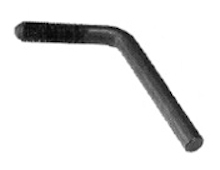 Take Up Handle 3/8" to .404" pitch (AB). Has the word "metric" stamped on the handle.